What Exactly is Dram Shop Liability? As we’ll be entering into the start of the holiday season in the coming months, many bars, restaurants and venues will be serving alcohol. While many patrons will rely on safe transportation to get home, such as having a designated driver or ride sharing, drunk drivers are out there. According to the Center for Disease Control, about one in three traffic deaths in the United States involve a drunk driver. Every so often, an establishment will over-serve an already intoxicated individual. As a result, this person can cause severe harm to themselves and other motorists on the road. Fortunately, the state of Washington has a set of laws designed to help cut down on drunk driving accidents. It also helps financially compensate those who have been injured by drunk drivers who have been over-served by the establishment. This is known as dram shop laws. What is Dram Shop Liability in Washington? Dram shop laws are a set of laws that permit accident victims to get financial restitution from establishments, such as bars or restaurants, in situations where they negligently over-serve alcohol to a drunk driver. The word “dram shop” is an older legal term that refers to a bar or shop where alcoholic beverages where once sold by the dram (which is a unit of liquid). Dram shop laws are aimed at reducing drunk driving crashes by putting the onus for safety upon the establishment that serves alcohol. Currently, 38 states in the United States have some form of dram shop laws set in place. Let’s pretend Suzie goes to Mike’s Saloon to have a few drinks. After a few hours, Suzie begins to slur her speech, acts and appears visibly drunk. The bartender continues to serve Suzie, despite the obvious signs of her being intoxicated. Suzie then pays her tab and leaves Mike’s Saloon. She gets into her car and attempts to drive home. A few minutes later she runs over Karen, who is a pedestrian crossing the street. Karen is injured in the accident. She can file a claim against Suzie for causing the accident. Commercial purveyor: The commercial purveyor is a restaurant, convenience store or bar. They are prohibited from selling or serving alcohol to anyone who is “apparently intoxicated.” They will be held liable regardless of whether they serve a minor or an adult. Social host (minors): A social host is a private citizen who serves alcohol at their home. If the social hosts serves a minor and the minor causes an auto accident, the social host can be held liable to the minor and/or their victims. Social host (adults): If the social host serves an adult at their home, they can’t be liable if the adult gets injured or causes a collision. In the state of Washington, the plaintiff must prove that the establishment or bartender can be held liable under the dram shop laws. The plaintiff must prove that there were visible signs of intoxication such as: slurred speech, water eyes, emotional behavior or difficulty walking. They must also prove that despite these warning signs, the establishment continued to serve alcohol to the intoxicated individual. Collection of this kind of evidence can sometimes be challenging. A police report showing the blood alcohol levels of the driver will certainly help. If the establishment has cameras, videos can potentially be subpoenaed as evidence. We may find witnesses or other patrons of the establishment bar who would be willing to testify. 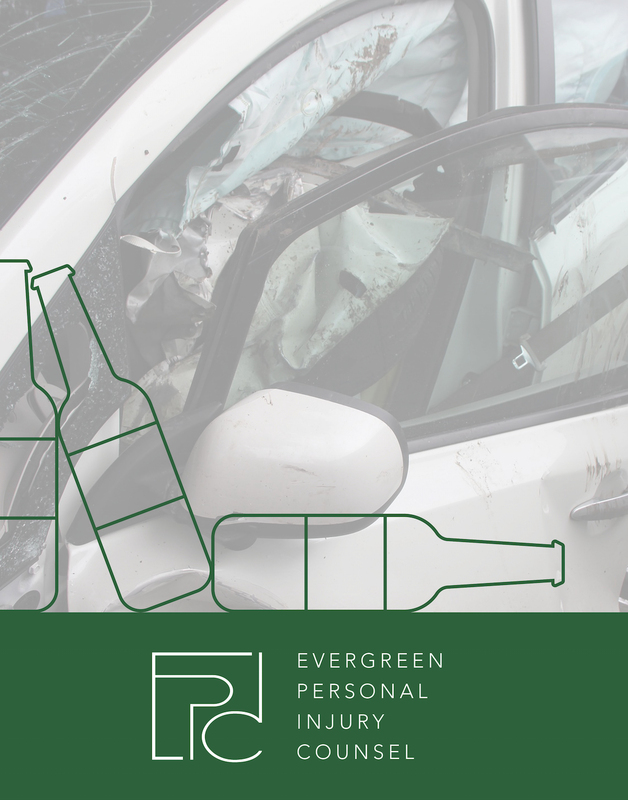 If you suspect that your Washington auto accident arose from dram shop liability, contact my team and I at Tacoma’s Evergreen Personal Injury Counsel. I have experience helping those who have been injured as a result of intentional alcohol over-serving. EPIC will fight hard for you so that you can get the justice that you deserve for your injuries. Don’t hesitate to contact me if you have additional questions regarding dram shop accidents.